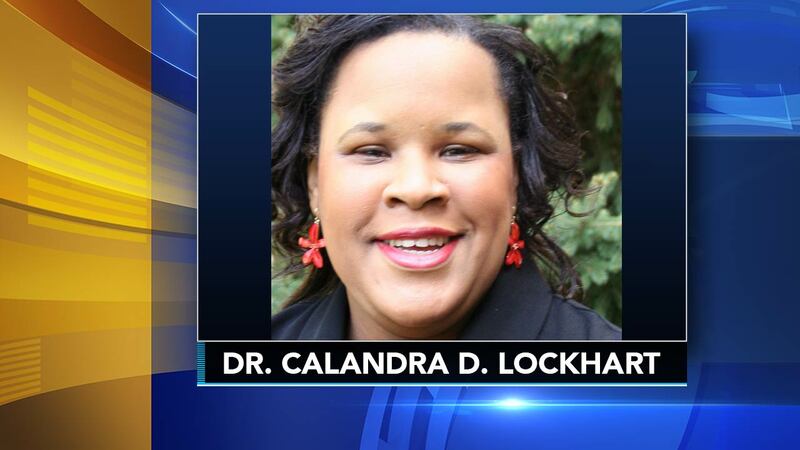 JENKINTOWN, Pa. (WPVI) -- Manor College in Jenkintown, Pa. has named Dr. Calandar Lockhart its new Vice President of Academic Affairs. Dr. Lockhart previously served as the Assistant Vice President of Academic Affairs and the Dean of the Division of Education at Wiley College in Marshall, Texas. Manor College announced today that after a half-year long national search, its next Vice President of Academic Affairs is Calandra D. Lockhart, Ph.D.
Dr. Lockhartpreviously served as the Assistant Vice President of Academic Affairs and the Dean of the Division of Education at Wiley College in Marshall, Texas. In her role at Wiley College, Dr. Lockhart was responsible for supervising all academic divisions and departments, overseeing grant projects, training faculty, reviewing academic program viability and implementing dual enrollment plans for local k-12 school districts. Dr. Lockhart's experience in higher education academic leadership runs deep. She served as the Chair of the Education Department and as Associate Professor at the University of Charleston. She also served as the first Director of the Special Education at Alverno College. While at Charleston and Alverno, her scholarly interests led to research, publications, and professional development trainings and workshops concerning cultural competence, culturally responsive teaching, teacher preparedness, and disability services. "Dr. Lockhart is exactly the academic leader we've been seeking. She's exceptionally well-credentialed and published" said Manor College's President Jonathan Peri, "but as important in today's competitive higher education environment, she's entrepreneurial. She's led as many grant projects as some development executives. So we're excited about Calandra joining our team. Plus, she's such a joy. We're confident she will be a mission-mindful leader on Manor's campus." Dr. Lockhart has vast experience in the field of education, particularly in special education. At Valdosta State University, Dr. Lockhart was the Field Experience Coordinator for Special Education and Assistant Professor' in the College of Education. She also conducted research concerning pre-service providers' (teacher and speech pathologist candidates) perceptions of preparedness to work with ethnically diverse populations while at Valdosta State. Dr. Lockhart's professional experiences include Mercer University, where she was the Coordinator of Student Relations, Retention, and Recruitment and Assistant Professor in the Tift College of Education. Dr. Lockhart has worked with students in elementary and middle schools as well. She has taught students in full inclusion classrooms, early intervention classrooms, and special education centers (most restrictive placements). She has expertise working with varying degrees and levels of needs: Talented and Gifted, Developmental Disabilities, Severe Emotional Behavior Disorders, Autism, Intellectual Disabilities/Cognitive Impairments, Specific Learning Disabilities, English Speakers of Other Languages/English Language Learners (ESOL/ELL), and Language Delays. Manor College is eager to welcome Dr. Lockhart to campus, and wishes her great success and many blessings. Manor also wants to extend a heartfelt thank you to Dr. David Greenhalgh, who has served as the Interim VPAA since July and brought a warming and welcoming presence to campus.